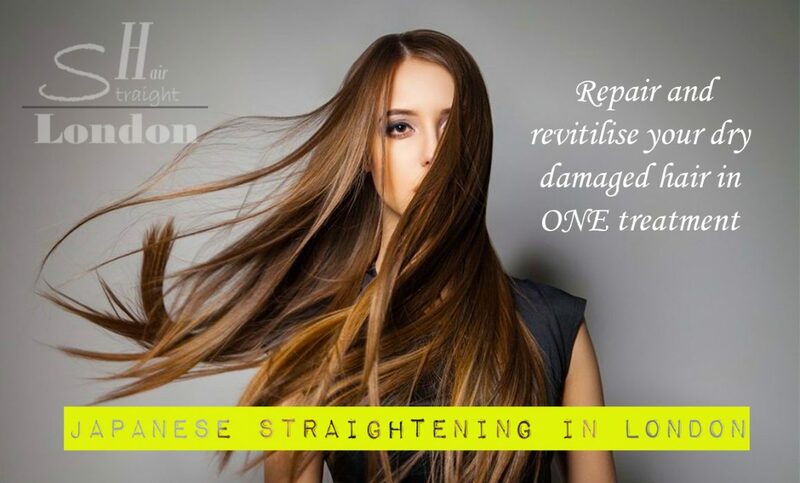 The Japanese hair straightening technique is something that a lot of people have already started using as it is an excellent method of keeping hair straight and neat, but the fact it’s being utilised by Straight Hair London has done wonders to improve the popularity of the practice. So what is Japanese Hair Straightening? Before we can identify if the hair straightening process has been an active treatment at the salon, we first need to understand what it is. Japanese hair straightening is a chemical based process that involves forcing the hair to assume a straight position, by physically changing the bonds of the hair to rearrange them in a straight pattern. It is very popular among those with frizzy hair because it is much easier to maintain and keep in good condition. As well as this, it is less affected by the weather and can still retain its shape even when exposed to winds and rain, which is something that normal hair struggles to do. The treatment as a whole is much less damaging to your hair than a lot of other different procedures, as it does require heat to perform. So, it’s been used in Straight Hair London? The process begins with three consecutive shampooings of the hair, to make sure that the hair cuticles have opened up sufficiently to allow the process to work. From there, the specialist cream is applied to allow the hair to straighten. It is carefully put onto the hair one centimeter at a time, to make sure that there is no part of the hair which is not covered with the cream. It’s left on for some time and then washed out. Then you need hair straighteners to seal up the cuticle and lock it into position and is then further sealed by neutralising cream, in a manner which is not dissimilar to perming. The results are then apparent for everyone to see once the final few parts of the procedure have been completed, and it’s clear that it’s well worth it. You’ll have straight and shiny hair for as long as you want, and it not only looks great, but it also stays high too. As long as you don’t wet or tie up the hair in the three days after the treatment, you’ll be on track to keeping the hair looking straight and easy to manage, without the need for hours spent in front of a mirror, which makes it well worth your time and money to undergo the procedure.